We are here to help older adults live healthy and connected lives in the homes they love. We do this by offering a unique membership program that focuses on giving and receiving; it includes helping one another which is what we do. We believe healthy aging is not a "one size fits all" process. Thus, members have the assurance that they can contact SAIL with any question or request and we will work with them to find a solution that is right for them. Our offerings are relevant to older adults because they were (and continue to be) developed or inspired by members themselves. Most of the services offered by SAIL are not available elsewhere in our community. These include: Access to Pre-screened Service Providers (our most widely used SAIL benefit), Automated Daily Check-in, Tech Tutoring, House Checks, Member-to-Member Volunteer Support. We help prevent fraud, loneliness, injuries, and other life events that often lead to the loss of independence. We do all of this through our educational programs, services, and social connections. 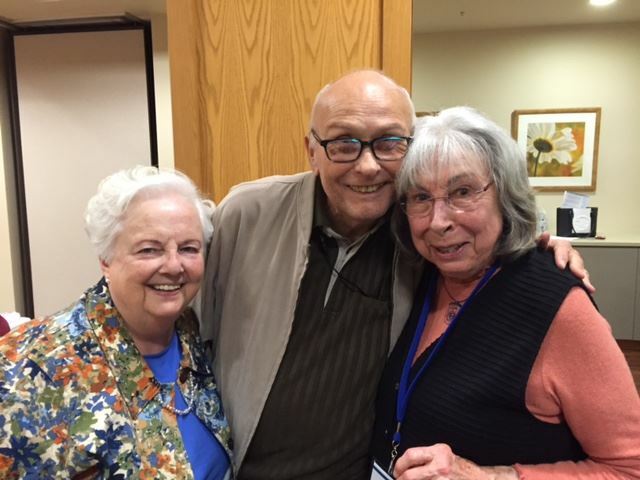 Longtime member Pauline Scott recently commented: "I’m so happy SAIL started all those years ago—especially when I think about all the wonderful things you do for people like me!" The cool thing is that Pauline is also a volunteer at SAIL. We appreciate all she does for SAIL and her fellow members! We are one of the few non-profit senior organizations in Dane County that receives no government support. Member dues, grants, donations, and a golf fundraiser are what form our financial base. With this financial base we help are helping over 500 older adults each year in Madison and surrounding communities. And, we offer a sliding fee for older adults with low incomes so no one is excluded from membership based on their ability to pay. I first learned about SAIL at a community presentation in 2004. Listening to the now retired Oakwood Village CEO John Noreika report the actual costs of building new retirement communities, the increasing population of older adults, and anticipated cuts in public funding, I was immediately convinced that SAIL was (and still is) good social policy and a good fit for me. I could see how lending a hand could actually help someone stay in their home and live more independently and that some day, perhaps someone would lend a hand to help me if I needed it. Also, as a realtor, I’ve witnessed first-hand the losses older people experience when they have to move because of a crisis—losses of prized possessions, lower gains from the sale, higher moving costs, etc.—all due to having to move without planning and in a panic. In many of those situations, I was not convinced the new condo or apartment would actually bring the comfort and security the client had enjoyed in his home. Being that the “pay it forward” idea at SAIL made a lot of sense to me personally, I signed up as a volunteer driver in 2005 and also joined the SAIL Connections Committee. The committee helps plan programs, promotes member interest groups, and advises SAIL’s leadership. I have offered advice to members contemplating a move, and I was even asked to teach a class to fellow members on the kinds of improvements to make before selling their home. Volunteering during these past ten years has given me the chance to meet the most amazing people! When I signed up as a volunteer, I never dreamed that nine years later I would find myself faced with a major health event and would actually need some of those same volunteer services I had provided to so many members. Helping others always came easy for me—receiving help was a big step for me, but I had no choice. It has allowed me to understand what it’s like for fellow members—people once completely independent and in good health, suddenly having an illness or disability preventing them from participating in activities they used to do effortlessly. Having a serious illness is a life changer. It brought home the reality of how important my family is, my friends and colleagues, and the many resources and contacts I have at SAIL. The saying “it takes a village” couldn’t be closer to the truth! I am so grateful for all that SAIL offers, especially an ongoing investment in growing its volunteer program. I hope you will join me in supporting this amazing organization! The subject of philanthropic giving came up at lunch with a friend recently. We both are inundated with requests from organizations pleading for our financial support. These are reputable associations doing worthwhile work across America. Some work at locations around the world. “How do you decide which to give to?” my friend asked. I have some fairly simple rules which guide my giving. First of all, I prefer to give locally where I can see what is being done. Then I ask: does the organization support something deep and dear to me? Each of us has had life experiences which call for support of groups that have meaning for us. Such local units aren’t always well publicized but they make a difference for a good many people in this city. They usually are smaller; I have the satisfaction of knowing that my dollars mean more. I have a far more personal sense in such giving. Finally, I don’t have tons of money to give so I want what I give to bring satisfaction to me as well as service and value to the community. These are some of the reasons I have chosen SAIL as part of my philanthropic giving. I find deep satisfaction in knowing that I am helping this new group to deepen its roots, to stay, and to grow so that through the years the seniors of this area can continue to benefit from this unique organization. I hope you'll join me in supporting SAIL!